Pieris Japonica is a compact, rounded, evergreen shrub grown for its display of spring flowers. 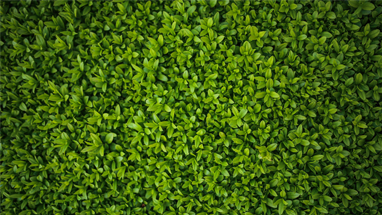 It’s excellent for growing in a shrub border or woodland area. It bears attractive bronze foliage which matures to dark green, and whte blooms resembling lily of the valley. 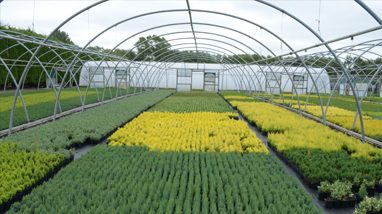 British Grown and supplied in P9 pots. 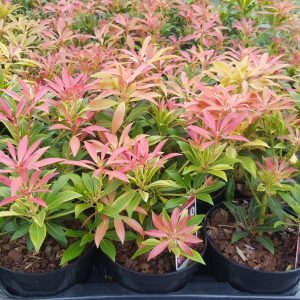 Pieris Forest flame displays a burst of bright red new leaves in the spring, which eventually mature to pink, cream and then green. These contrast beautifully with with spring flowers. 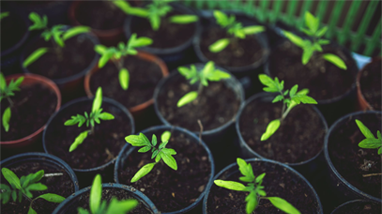 It has been awarded the Award of Garden merit ( AGM ) by the royal Horticultural Society.